Today was supposed to be one of the best days ever for nine-year-old Izzy Rush. But now, on the last day of class before Christmas break, she has been left alone at school. To make matters worse, the biggest blizzard this town has ever seen is blowing and snowing full force. Which is why three bumbling crooks on the lam decide to take shelter in the seemingly empty school. When Izzy discovers that the criminals are holding her friend Ray, the school custodian, she decides it’s up to her to save the day. But what can a nine-year-old girl do? You’d be surprised! 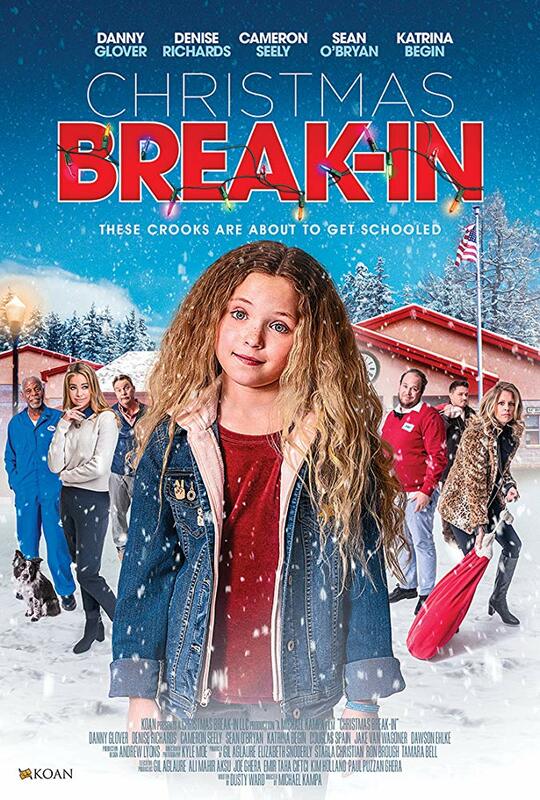 Izzy is a smart 9-year-old girl who is left alone at school and needs to outsmart the crooks that end up there to wait out the snowstorm, as well as the heat from being discovered in the distinctive vehicle they are driving. Ray, the school custodian who has befriended Izzy, gets caught by them and she needs to rescue him. This movie is reminiscent of "Home Alone." The crooks aren't all on the same page so they make some laughable errors. I wondered how they would explain the parents' absence so this storyline would work. It's not realistic, but it was fun to watch. It's a clean, fun, family movie that I would highly recommend to everyone! Christmas Break-In 60 second Teaser from Ron Brough on Vimeo. The children in Millie’s family can’t wait for Grandma to arrive with her special Christmas apron. According to tradition, each grandchild will write down the gift he or she wants most in the world, and then slip that wish into the apron’s pocket. Then, on Christmas morning, those wished-for gifts will be magically waiting under the tree. But then eleven-year-old Millie overhears her parents: the family can’t afford gifts for all the little ones. She pictures the disappointment on her siblings’ faces: nothing to open on Christmas morning. Is Millie willing to sacrifice her own whole-soul wish so that someone else’s can come true? Full of tender emotion and delightful surprise, this story reminds us of the miracles that unfold when we think of others before ourselves. Millie is 11 years old and is given some exciting news at the beginning. 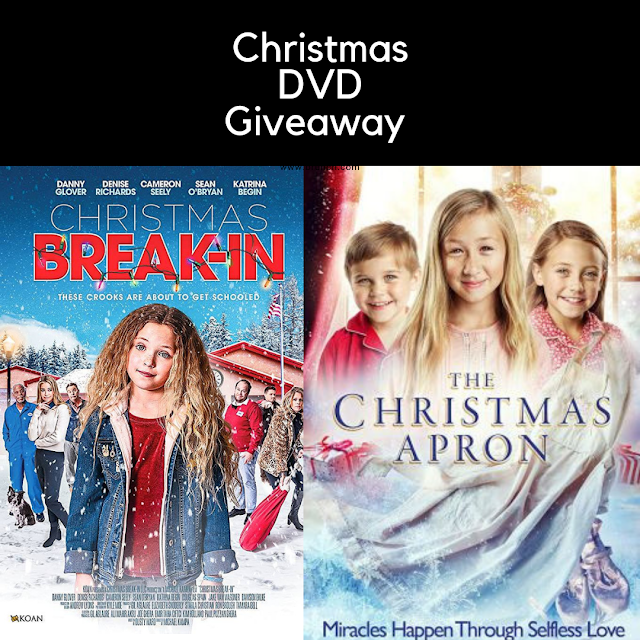 She quickly realizes that her parents can't afford to give her the gift she desires the most. When her grandmother arrives and shares with her the story of the Christmas apron, she makes a tough decision. This is a heartfelt story that tugged on my heartstrings! It's set during World War II and money is extra tight this particular year. It's short and has a powerful message. My daughter and I were both in tears at the end. We will watch this movie again and again and it's another one that I highly recommend to everyone! 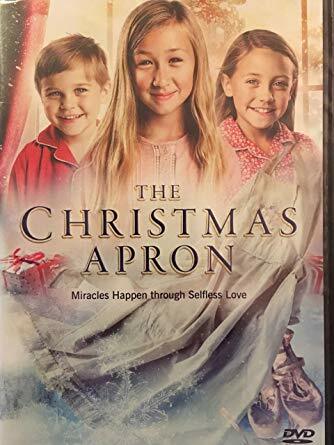 The Christmas Apron Trailer from Ron Brough on Vimeo.